Snowboarding is one of the most exhilarating and exciting winter sports you can take part in, and learning to snowboard may seem daunting at first, but it is well worth the time and effort. First, you need a snowboard. Snowboards differ in many ways, from the width, length, flex and just general design. Knowing which one is right for you can be a bit of a struggle. We’ve made a list of the best boards for women, for men, and beginners. There are differences, especially when it comes to beginner boards. Our favorite beginner snowboard goes to the 2018 Camp Seven Drifter and APX Complete Snowboarding Package, offering you everything you need to get started on the board, it is the best all-around package you could get. 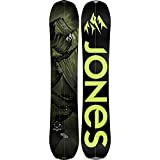 Our favourite snowboard for men is the Jones Explorer Splitboard, great on most terrains, extremely well made, and the fact that you can turn it into an amazing pair of cross-country skis is an enormous plus. 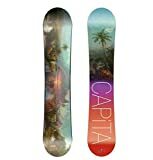 The best snowboard for the ladies goes to the Capita Paradise, very well made, affordable, as well great for learning, progressing, and practicing on, it’s perfect for beginners and intermediates. Our favorite snowboard for teens is the Emsco Supra Hydra. This board is a brilliant option for kids and teens, especially teens who are wanting to learn snowboarding. The solid design can withstand the hits and bumps it will take while you learn. The adjustable bindings allow your child or teen can grow with the board, and you won’t have to invest in a bigger snowboard until they are at least 15 years old. Our favorite snowboard for kids is e-joy Kids Fold-up Snowboard. This snowboard is absolutely perfect for young kids. The handle will help them keep their balance, and can also be used to steer while standing, or while they sit on the board and use it as a sled. This board can also be used on multiple surfaces, such as carpet, grass, sand, and snow, meaning you can have year-round fun, no matter the weather. The non-skid foot pads keep you stable and prevent the feet from sliding out underneath. There were a lot of good snowboards for beginners, but having the ideal snowboard is a necessity as they make learning a lot easier. We’be given you a favorite beginner boards and below we’ve listed our top 10. The Burton Clash snowboard is designed to be used on most terrain types. This is perfect for beginners as you won’t have to worry about finding the “perfect” spot to board. The board has a rocker/flat/rocker design which makes it very stable, easy to turn, and it floats along powder. Great for a beginner. The board has a soft flex. A softer flex board is easier to control. A softer flex makes the board much easier to turn, once again great for beginners. This also makes it great for the park which is where most beginners will start learning. The board is also designed for one direction. Carving and cruising is made a lot easier as you only need to travel in one direction. The Lib Tech Skate Banana is a board designed for beginners, all the way up to professionals. The board has incredibly well-made geometries and contours, and it’s able to take on almost any kind of terrain. It’s very easy to ride which makes it great for beginner snowboarders. The board is built for freestyling. Meaning you can happily and easily learn to snowboard, and then when you’re ready for a bit more adventure, you can hit the boxes or rails on the slopes. The rocker design also makes it easy to turn and carve. This board is perfect for beginners and professionals alike, great for learning, practicing, and eventually taking it out on the slopes. The Lucky Bums Plastic Snowboard for kids is the most ideal beginner snowboard for children. It’s small and lightweight and perfect for kids ages 9 and up. This snowboard is one of the best boards to get your kids on the slopes, and one of the easiest to learn on. The snowboard has a smooth bottom and is designed with the traditional snowboard cut. Meaning, this is basically a mini replica of a snowboard your child will upgrade to as they grow. This transition will definitely make it easier for your child to grow and expand their skills on more advanced boards. This design is incredibly strong and rugged and comes with fitted boot bindings. These bindings are fully adjustable and fit almost every pair of snow bots your child may wear. The easy latch system means strapping in is simple and extremely secure. This board is more for children aged 9 and up, which is the age you would want your kids on the slopes anyway, making this the perfect first snowboard. The snowboard has no metal edges therefore it can’t be used at a ski resort, but will be great at home or on a bunny slope. 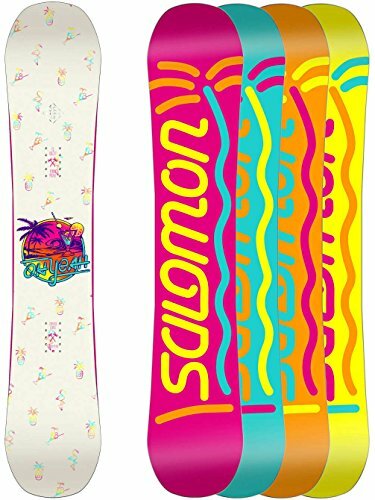 The Salomon Craft Snowboard is the all in one beginner snowboard at an incredibly good price. Made for learning and freestyling, go from beginner to the slopes in no time. The board has amazing edge control and is easy to turn. This makes learning to control the board at speeds is a lot easier and learning to turn and carve is made much easier. The Popster construction gives the board that extra bit of lift when going off jumps. A great addition when you make your way to jumps and slides on the slopes. The Salomon Craft Snowboard is a very well priced beginner snowboard that can most definitely get you from a novice snowboarder to a very comfortable intermediate stage. The Ride Agenda Snowboard looks like a basic snowboard, but it most certainly isn’t. The twin rocker design makes it ideal for beginners as you have maximum control while learning. The board comes with Slimewall design. These sidewalls absorb impacts instead of fighting them off, which allows for a much smoother ride. The board has a tip-to-tail Aspen core design that aids in durability and will retain pop and flex for a long time to come. The board is made with impact plates beneath the boot bindings. These plates improve compressive strength and prevent board breakages. Ideal for when you’re learning and going to be taking a lot of falls. The Salomon Assassin Snowboard is a great al weather and all terrain snowboard. With its soft flex and true twin design, it’s made for beginners and pro’s alike. This board is a cross between Salomons most progressive powder and freestyle snowboard. This combo is a great for beginners and you are able to make incredibly smooth progressions from learning all the way to doing some carving and a few tricks. The board is designed to be a ride anywhere board. This means that no matter what terrain you may want to ride on, this board will be able to handle itself well and not let you down. The Jones Explorer Splitboard is an incredible board that can handle most terrain types and give you a very smooth ride, and when you’re done snowboarding, split the board down the middle and you have a pair of backcountry skis. 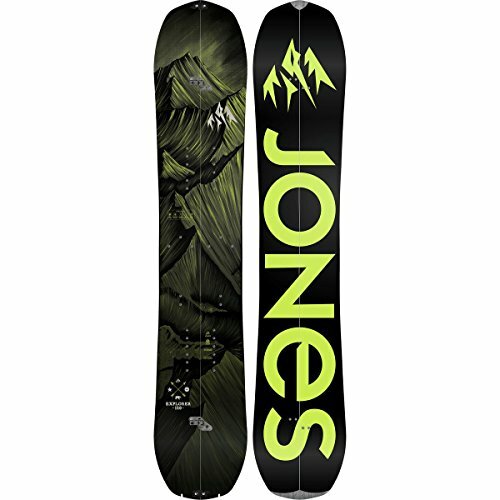 Splitboards, in general, are usually quite pricey, but Jones has made a very affordable one for those of you who are new to the backcountry skiing past time. The board has a one direction rocker and a decent about of flex, making it great for both beginners and experts. The board is also easy to control and gives you confidence when heading down your first slope. Splitting the board in half gives you two very high-quality backcountry skis. These skis let you travel the country while finding your next snowboarding spot. 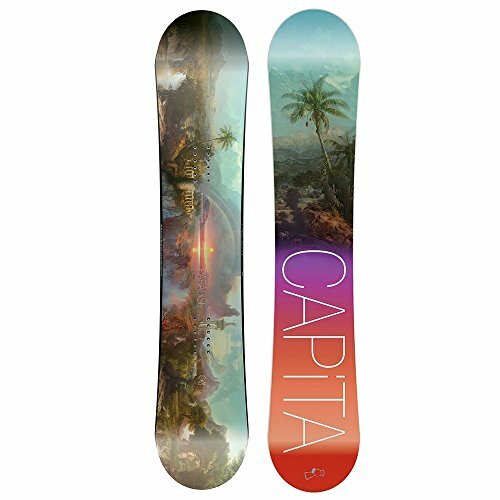 The Capita Paradise snowboard is a great beginner snowboard, it’s very easy to turn and the stability will give you the confidence you need to take on bigger challenges while learning to snowboard. The board has a bit less flex than most beginner boards, but if you are above the average weight for a snowboard, this will turn the snowboard into a board with medium flex. The same thing will occur if you are a more athletic rider. The board is also extremely versatile. It can handle almost every terrain and weather conditions. It can mould to any style of riding and it is definitely a board you can take from beginner level all the way up to expert. The Burton Genie is designed for beginners. It isn’t the most versatile board, but it will help you progress and develop your skills. It’s a freestyle board that is made for fast beginner progression. The Burton Genie is an incredibly simple board that won’t be be able to do everything a professional board can do, but it can most definitely advance your skills and get you to an intermediate level very quickly. The Salomon Oh Yeah snowboard is the perfect snowboard to take you from absolute beginner all the way to intermediate. The board is incredibly forgiving flex. Soft flex boards are perfect for beginners as they give you the maximum amount of control and stability when learning. The only downside of the board is that it isn’t very versatile, which could be a problem as you progress, but while you learn it shouldn’t be an issue at all. The Flow 2018 Vert Mens Complete Snowboarding Package is the cobo you need to start your snowboarding adventure. With a brilliant all terrain board, easy to use bindings, as well as a pair of boots that will last you for many seasons, this package can take you from a newbie to a slope specialist in no time. The board is designed with a hybrid sidewall, allowing you to ride smoothly on all terrains and in all conditions. A brilliant board to start out with, or if you only have access to one type of terrain. the Ez-FlatRock profile combined with a beginner friendly nose and tail design will help you stay stable and have control while you learn the ropes out on the slopes. 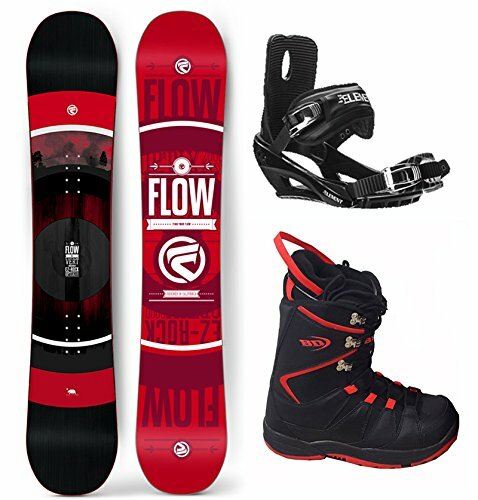 The board also comes with 2018 Flow Alpha Stormtrooper LTD bindings, which help you strap in safely to your board without feeling like it’s going to run away from you, as well as 2018 Flow Vega LTD BOA snowboard boots. These boots give you extra stability and control. The boots have a soft flex, giving you some extra movement. The boots are also extremely comfortable and easy to use. Using a dial, you can quickly and easily get into them and tighten them The boots also have a Thermo-Lite outsole which gives you extra grip and stability on icy surfaces. 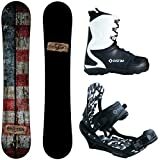 The 2018 Camp Seven Drifter and APX Complete Snowboard Package is another high quality, beginner friendly package that includes a board, boots and bindings all suited for beginners and people wanting to take up snowboarding. Easy to use boots and bindings all ensure you can get on the slopes immediately. The board is able to handle itself on all terrains and in all snow conditions, allowing you to be out on the slopes no matter the weather. The boots and bindings also work perfectly together to give you a great all round experience and the right combo to start learning the art of snowboarding. The snowboard has the new CRX camber profile. 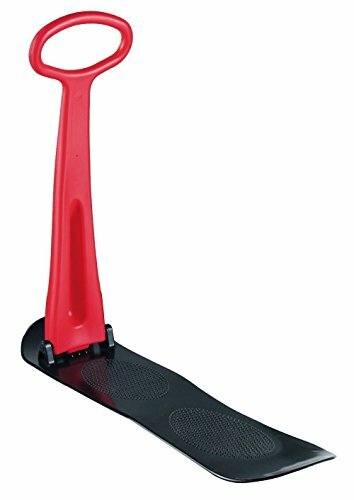 This rocker design allows you to float on the snow and gives you a bit of height as to not catch an edge while boarding. The nose and tail are also designed to be under your control the whole time, giving you extra stability. The bindings are ultra lightweight yet very durable, ensuring you don’t feel weighed down or having heavy feet, not the best feeling if you’re taking your first shot at going down a hill. The smooth flex boots are designed with the same high quality and give you just enough movement to control the board but not so much that you fall over. The Emsco Supra Hero Snowboard is the ideal beginner snowboard for kids aged between 5-15 years old. This board is brilliant for youngsters who haven’t been on the snow before, and is a great board to get the hang of the basics. This board makes learning easy, especially for kids. The snowboard is completely customizable. Besides having very bright and vibrant graphics already, the board is customizable and you and your kids are able to draw on it, making the board completely their own. Adding your own graphics and art won’t affect the performance of the board. The board has a very solid design and has a strong and sturdy polypropylene body. The bindings are adjustable and can fit any kids feet, keeping the secured to the board and comfortable while they ride. The bindings cannot be adjusted to suit left handed riders. The e-joy Fold-Up Snowboard is an incredibly versatile board that comes in multiple colours, and is also suitable for kids aged 4 and up, and adults alike. The one size fits all board is great for families, especially kids. Great for learning basics for snowboard as it will improve kids balance. This board can be used as a scooter that you can take on snow, sand, grass, or even indoors. Lie down on it and you can use the handle to control the board while you use it as a sled. You really don’t need snow to enjoy this ride, absolutely perfect for all year and all season fun. The board is made of super tough materials and also has a soft flex, providing a smooth and stable ride that is very easy to control, once again great for young children and beginners. The non-skid foot treats keep feet stable on the board, while the fold-down handle vastly improves control, and makes the board easier to store and travel with. 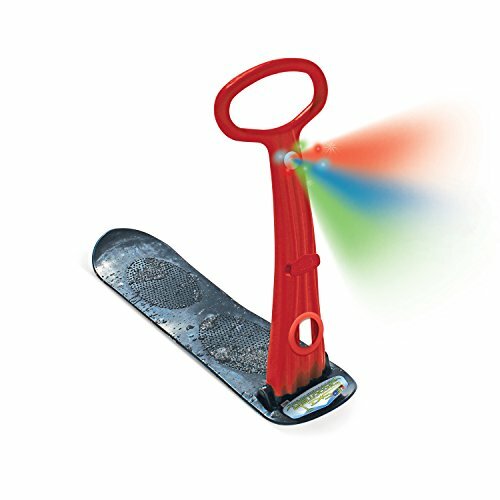 The Geospace LED Ski Scooter is the original snow scooter and can actually be used on snow, sand, grass and indoors. It;s the perfect scooter for younger kids who ae wanting to learn to snowboard and improve their balance and sense of control. Just use your one foot to push yourself and off you go. The adjustable height handle makes control and steering easier, while the non-skid foot pads keep your feet secure on the board and improves control vastly, preventing snow and moisture from causing you or your child to slip off. These treads also improve balance, which is essential for snowboarding. The board is made from super strong materials and also has a slight flex which improves control and stability vastly and is also ideal for beginners and kids learning how to control their bodies while on a board on the slopes. The fold-down handle also makes the board easy to transport and to carry. If you’re a beginner, you need to start your snowboarding experience with finding the right beginners snowboard that will help you learn quickly and efficiently. Choosing the right snowboard is important as it will help you to learn the basics and help you get comfortable on the board and on the slopes. These are some of the basic items which you would require for snowboarding; besides, you can also consider a stomp pad. This is a special kind of grip pad, where you can temporarily place your back foot. Technical or Freestyle Boards: These boards are shorter in terms of length; however, they are quite wide in terms of space. These are quite flexible boards which allow you to have a better control and let you make precise movements. The technical or freestyle boards can be ideal for the beginners as they are quite flexible and responsive. Carve or Alpine Boards: An Alpine board is much thinner and longer compared to the freestyle ones and they do not offer the same amount of flexibility as the technical boards do. If you are looking for high speed, then these boards can be the perfect option for you. You can have great downhill snowboard experience with these boards. Free Ride or All – Mountain Boards: Basically, these are the standard boards which you would find on the market. These boards are great if you are looking for speed and downhill slope turnings. This is one important aspect which you need to consider. You need to make sure that the board you buy is proportionate to your body weight and your height. The basic rule of thumb is that the board you have purchased should come up to the height of your nose or chin when you stand on one end of the board. If it doesn’t, then the board is too short for you and the other way round will be too long for you. Usually, there are 2 different types of bindings available; speed entry bindings and strap bindings. Strap Binding: When it comes to snowboard bindings, these are the most commonly used bindings. The strap bindings come with a base meant for the base of the boot, and they also have a set of synthetic straps. If you are planning to go for snowboarding and you are thinking how to snowboard, then you might find these tips to be quite handy. These are basically the preparations you would require before you went for snowboarding. If this is what you are thinking you must know that the length of the snowboard which you have selected will depend on the weight of your body and the kind of riding you are planning for. Earlier, when it came to selecting the right size of a snowboard, all you were required to do was to place the snowboard beside you and if your chin hits the top of the board, then it was a perfect fit. This is one of the ways to determine the size of the snowboard; however, it is important to remember that along with your height, your weight also plays a very important role. Besides, as already mentioned, the type of riding you are planning for is another important aspect which needs to be taken into consideration. When you go to buy a snowboard, you will find sizes for all the different types of snowboards available to the seller. One important thing which you need to remember is the fact that the length of the board plays a very important role. Always select those snowboards which are proportionate to your height. It lets you control the board easily and also helps you to maneuver around smoothly. The width of the board is another important aspect you need to look into. You need to make sure that the board is wide enough for you to keep both your feet completely on it. Make sure that the board you have purchased is wide enough to accommodate both your feet comfortably and they don’t remain out of the board. Even if a slight portion of your heels is sticking out of the board, it can jeopardize the entire ride. Therefore, both the length as well as the width of the board plays a very important role. In order to make sure that you have the best riding experience, you must take care of both these issues. They are equally important. With the help of these beginner tips, you can also be sure that you get the perfect snowboard from the different types of snowboards that are designed for particular terrain and for different types of snowboarding, be it for speed, tricks, or comfort. Choose a beginner snowboard that has a camber profile rather than flat profile. For many beginners, it is important to feel stable and to have maximum control over the board. Better stability means better balance, and better balance means you can learn these tricks of snowboarding to quickly become comfortable on your board. Similarly, using a hybrid camber profile enables snowboarding beginner to make turns more easily, building his/her confidence and skill level. You can also choose flat or rocker profile, which also allows first-time snowboarders to handle their movement more easily. When you are purchasing a snowboard, you also need to focus on the core, which determines the weight of your snowboard. Some snowboards are made from injected foam while the rest are made with an aluminum core. Top end snowboards have wooden cores, making them more expensive. 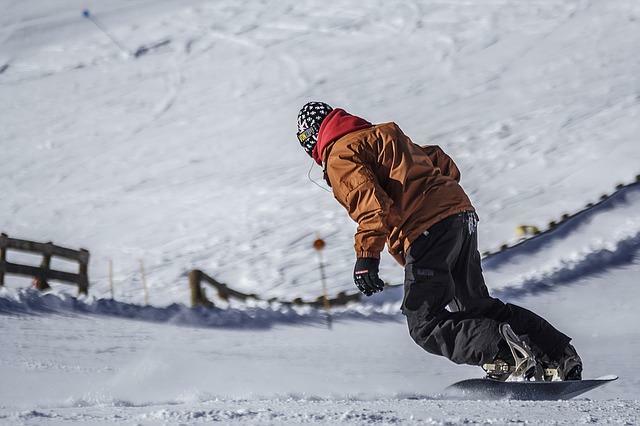 It is recommended that snowboarding beginners buy a lighter snowboard, as they are essential for practicing at low skill levels, and to then gradually move up to a heavier snowboard. The base of your snowboard also contributes to the overall weight. Snowboard bases are made up of polyethylene, and they are either extruded or sintered. Sintered base snowboards are expensive and are usually found on advanced snowboards, while extruded bases will be found more on beginner snowboards. Snowboards come in various sizes and lengths, and therefore it is important that you choose the right snowboard that fits your height and size. To measure the length of it, you can hold the snowboard upright and compare it with your own height, most snowboards will come up to your chin. There are shorter and medium-length snowboards as well, and they are recommended for those who do a lot of tricks and ride a variety of terrains. Long snowboards are recommended for big mountain terrain and high-speed carving, as they provide better stability and handling. Beginner snowboards need to have a soft to medium flex, which offers better movement and maneuverability. Beginners usually practice at a slower pace and usually on much gentler and slower slopes. Beginner snowboarders don’t need a board with stiff flex, as it provides better stability at higher speed on much steeper slopes. Most beginner snowboards have a very soft flex, but going for a board that has extra soft flex will not provide the right edge hold or stability needed to learn. You also need to take your weight into account while considering the flex of your snowboard, as the flex will change. While you’re looking for you best snowboard, you also need to consider the width of the snowboard. This mainly depends on the size of your feet and the type of riding you will want to do. Narrow snowboards are not recommended for those who have large feet, and wider snowboards are not recommended for people who have smaller feet. If you have large feet your toes will overhang and slide out while carving. Similarly, buying a wider snowboard will make it difficult for you to make turns and will be less responsive. When you choose a snowboard, you have to make sure that you choose a board based on your ability levels. Beginner snowboards will have a label which indicates the ability level like beginner, intermediate, advanced and expert. Last, but not the least, the price will determine which snowboard you ultimately choose. When searching for your ideal beginner snowboard, you will come across a wide range to choose from. Remember to keep a close watch on your budget as it is not necessary to get the most expensive board, and more important to get a board that will help you learn the quickest and easiest. Snowboards can cost anywhere from $300 and above, so a lot will depend on your income and willingness to spend on a higher end board. If you’re wanting to learn to snowboard just as a hobby, it is recommended that you stick to affordable beginner snowboards well within your budget. Once your skills improve, or you start taking it more seriously, you can then invest in a more advanced and more expensive board. Until you reach that point though, an entry level snowboard is ideal. Check out our post on finding the best pair of goggles. In conclusion, finding the right board for you can seem like a difficult task, but we hope we have made it a bit easier to decide. Especially for beginners, you need the right board that will allow you to learn effectively and quickly. This list is made for people just getting into snowboarding and is unsure of what they need in a board. We hope this list has helped you make a decision and given you some insight into the make-up of board and all the different aspects that makes one board different from the other. Happy snowboarding everything, and to all you beginners, don’t give up, the effort is worth it.